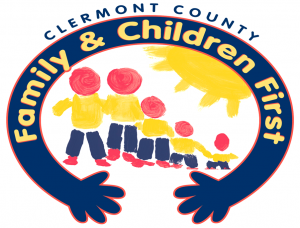 The mission of Family & Children First is to promote and facilitate communication and collaboration among Clermont County child and family serving agencies to ensure that Clermont County infants, children, adolescents and their families receive the most appropriate services to enable youth to develop adequate skills in preparation for a successful adulthood. When I first met Wraparound staff, I was told services weren’t just about the individual but the whole family as well. I had my doubts but it wasn’t long before they lived up to their word! People were finally listening to what I was saying. They have helped us overcome so many obstacles that we had. Our child has improved so much and is on a great path and we have better communication among the family. Our family is very thankful for everything that the wraparound team has done for us. Before Wrap it was probably 90-95% really horrible days, and it was affecting my other 3 children’s safety. I would probably say we have about 10% bad days, some weeks are a little worse, but then there are weeks that go by that we don’t have any problems. Wraparound has been a great support for my family. I have loved working with the people from wraparound. I think that I am ready to venture out on my own but I am thinking I need to keep them around to have more support. I am happy that I can have them back if I need them. I think wraparound is very helpful. I could of not been where I am now without them. They have made me stronger and more confident and have given me a lot information to help me and my family.